I missed five council predictions last night, a subpar performance no doubt. I'm kicking myself mostly on the predictions that Councilor Jeff Miller and Councilor Janice McHenry would lose re-election. While Miller is in in a slightly Democratic district and the McHenry in a district that shifts from strong Democrat to marginally Republican in low turnout elections, I focused too much on the numbers and not on the strength of those particular candidates. One thing that makes prognosticating difficult in these type of races is that while it's easy to ascertain baseline numbers and guess as to top of the ticket influences on the races, it is difficult to know the work the parties' candidates did in those districts, absent actually living in those districts. The loss by Republican councilors Lutz and Hunter was pretty unexpected. Especially Lutz's district was at best a secondary target for Democrats. I also missed the Fanning-Tew race but I don't feel bad about predicting Tew would win that. Only a couple hundred votes separated the two candidates. What did we learn from the Marion County-Indianapolis election results last night? A lot. GOP circles cared about) is that Hogsett is a failed candidate who loses virtually every race he runs for. Hogsett has run for four races and was a huge underdog in every one of them. Despite that he did win one of them - the Secretary of State's Office against the very popular Indianapolis Mayor Bill Hudnut. Two of the other years he ran turned out to be huge Republican years. That Hogsett was willing to take on tough electoral challenges for his party doesn't make him a loser. It makes him a loyal Democrat and even this Republican respects that. 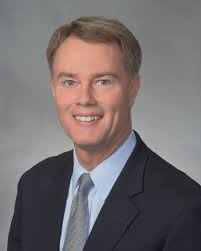 3) Hogsett and the Democrats blew big type opportunities - Although basking in the glory of Hogsett's victory and control of the council, the Democratic Party had plenty of opportunities to win even more seats on the council and blew virtually all of them. Hogsett could have used his popularity to make the case for Democratic candidates running in close races. Democrats could have run much better individual council campaigns that made a persuasive case why the Republican candidates, particularly incumbents, should not be elected. Neither happened. In the end it took a candidate the Democratic leadership refused to slate - Jared Evans - to bail the Democrats. 4) The Marion County Republican Party is on life support - There is no local Republican organization to speak of anymore. It used to be Republican party workers covered virtually every polling place. No more. But what is shocking is that the GOP electorate in the county continues to erode. Consider this... Joe Hogsett's vote total was only about 8,000 more than losing Melina Kennedy's vote total of 84,993 four years ago. The difference in the race was that the Republican mayoral vote total that year was 92,525. Republican Brewer only managed 56,662. That is a 35,863 vote or 39% decrease. Where did those Republicans go? They certainly didn't go to Hogsett in substantial numbers or his vote totals would have been much higher Those Republicans either stayed home or they're moving out of the county. 5) Chuck Brewer got used - Brewer joins the long line of high level "for show only" candidates recruited by Marion County GOP leadership. I think the plan all along was to not run a competitive mayor's race in the hopes of depressing Democratic turnout enough to win down ballot council races. The strategy almost worked. Of course that sort of strategy undermines the effort to rebuild the Republican brand in Marion County, but that is a problem for the next Marion County GOP chairman. 6) Unslated candidates can be the best general election candidates - Both Democrat Jared Evans and Republican Christine Scales took on their party leadership's slated candidates and beat them in the primary. It appears that the voters in those districts appreciated the independent-minded Evans and Scales who refused to kow-tow to their party bosses. 7) Democrats need to stop whining about council redistricting - Although I certainly don't agree with the court decision that upheld the David Brooks lame duck redistricting of the council, the fact is the Brooks' map gave the Democrats scores of opportunities to win the council and they pulled it off despite themselves. Brooks drew a 15-10 Republican map. It turned out to be 13-12 Democrat. The Brooks' map put Republicans (with the exception of the Mascari race) completely on the defensive in race after race. The Democrats didn't fully take advantage of that as they proceeded to lose virtually every competitive seat. There is not one individual who is outspoken, charismatic, articulate, and an intense believer in traditional conservative ideology that compels a competitive race and no big property tax problems that would push forward an agenda. In point of fact, I voted for Mickey Mouse as a write-in. People used to say that a low turnout favored Republicans. You can throw that philosophy in yesterday's sunny day trash heap. How much longer until you think Kyle Walker will announce his resignation? By the end of the year or until after 2016?